Arrangements for the "Swilly Worlds" regatta series are well under way, and more details will be posted during the week. The event kicks off with registration and skipper’s briefing in the Clubhouse at 10.00 am on Saturday morning. HW Saturday is 10.12 (3.7m) and the first race starts out in the Lough at 12.00. Further details on the format of racing will be given at the skipper’s briefing. Entry fee is €30 and IRC certificates are requiredto participate in the IRC class. It looks like a pleasant weekend, and hopefully the wind will stick around for some competitive racing. Will your lifejacket save your life? The RNLI carried out some simple checks on a number of lifejackets at clubs in Cork and Dublin last week with some shocking findings! Make sure your equipment is up to scratch before heading out on the water. The Calendar for dinghy sailing events has been published on the LSYC web-site, with the open Dinghy Regatta planned for Saturday 24th July. Take a look on www.loughswillyyc.com and come along and take part. The Annual Melmore Rally is this weekend, and this year we hope to leave the marina! HW is at 05:37 so an early start is planned for 09:30. Full race instructions will be provided on the day on VHF Ch 6. The Sailing School will now be open to a limited number of 9 -12 year olds in addition to over 12s and adults. Please contact Aideen aideenc@googlemail.com or phone +44 7917 700015 for all details of the Sailing School, which will run this summer from 1st July until 7th August. 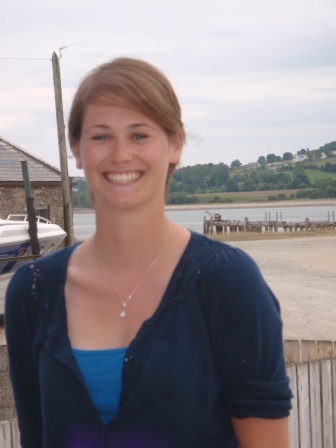 We are delighted to welcome Hettie Sanders as our chief instructor. It will be great to see lots of activity on Fahan Creek! World Cup Football in the background complete with vuvuzela, providing there are any teams remaining who have not been sent home in disgrace by second class fare! – followed by DJ Frankie, music & dancing ’til late. “On Monday 21 June we are organising a late sail followed by a beach BBQ and social. The Summer Sailing School is back in action with a fleet of new Laser Picos for 2010. The school will run from June 28th to August 7th, led by Hettie Sanders, a qualified ISA instructor. For full details click the Sailing School link on the left.